This is Liyana. When we met her last year, she was living in a tent in Sembawang Park with her husband Fazli, mother, and two young sons. She was also seven months pregnant. Life, as you can imagine, was pretty damn awful. 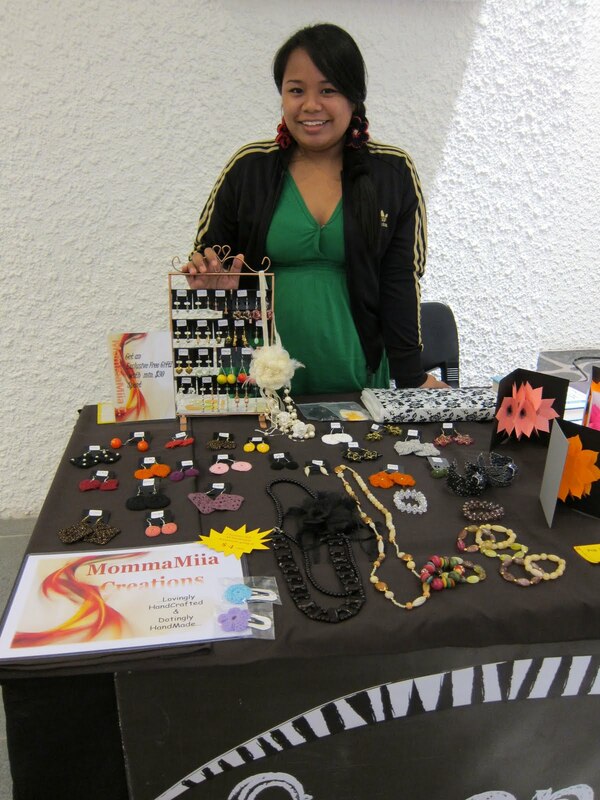 A few months ago, Liyana decided to start a small online business selling handmade jewelry. The pieces are quirky and very pretty. Liyana makes about $200 a month from her business – money she uses to buy daily necessities for her two boys and baby girl. 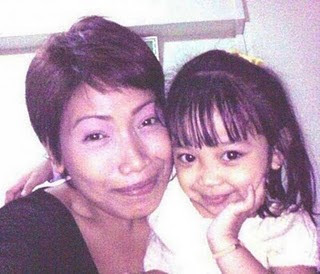 This is Noor Atiqah, a single mum sentenced to death in Malaysia for drug trafficking. She’s just 27 and her little girl is seven. They’ve not seen each other in two years. Noor Atiqah’s family and friends believe she is innocent and are desperately trying to raise $50,000 to appeal the verdict. Liyana has never met Noor Atiqah before. But when we told her about the case, she started to cry. She never completed the sentence but we knew exactly what she meant. Liyana has decided that she wants to do something for Atiqah. Next week, she’ll be setting up shop at “Sunday Eclectica”, a fleamarket at Pigeonhole. On sale will be a range of handcrafted earrings, necklaces and other pretty trinkets, as well as some yummy baked goods. Our friends at “We Believe In Second Chances” will also be selling badges, wristbands and cupcakes. Liyana has generously offered to contribute a portion of the day’s takings to the Save Atiqah fund. “Second Chances” will donate 100 percent of their profit to the cause. 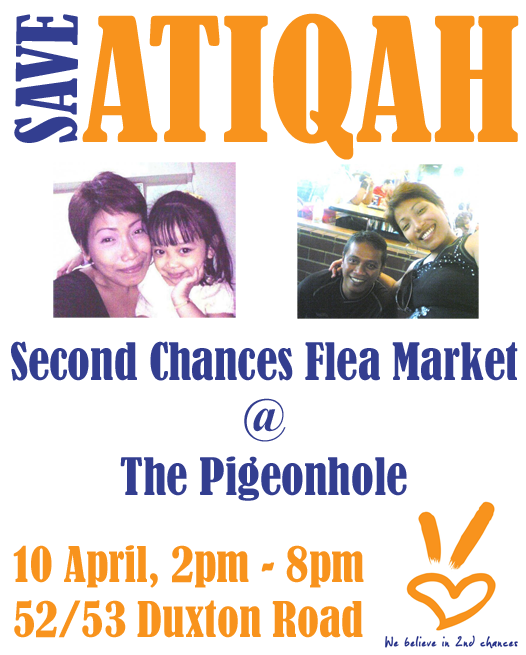 Please help Liyana help Atiqah. Come visit us at the fleamarket on Sunday. Previous postHoping For The Best Next postJustice For Chun Yin?